On March 22, 2019, ChoiceOne Financial Services, Inc. (“ChoiceOne”) and County Bank Corp. (“CBC”) entered into an Agreement and Plan of Merger (the “Merger Agreement”) providing for the merger of CBC with and into ChoiceOne. The Merger Agreement has been approved by the boards of directors of both ChoiceOne and CBC. The Merger Agreement provides that, upon the terms and subject to the conditions set forth in the Merger Agreement, CBC will be merged with and into ChoiceOne, with ChoiceOne as the surviving corporation (the “Merger”). Subject to the terms and conditions of the Merger Agreement, upon completion of the Merger, each CBC shareholder will be entitled to receive 2.0632 shares of ChoiceOne common stock for each share of CBC common stock owned by the shareholder. The Merger Agreement contains customary representations and warranties that the parties have made to each other as of specific dates. Except for its status as a contractual document that establishes and governs the legal relations among the parties with respect to the Merger, the Merger Agreement is not intended to be a source of factual, business or operational information about the parties. The representations and warranties contained in the Merger Agreement were made only for purposes of the Merger Agreement and as of specific dates, may be subject to a contractual standard of materiality different from what a shareholder might view as material, may have been used for purposes of allocating risk between the respective parties rather than establishing matters as facts, may have been qualified by certain disclosures not reflected in the Merger Agreement that were made to the other party in connection with the negotiation of the Merger Agreement and generally were solely for the benefit of the parties to the Merger Agreement. The Merger Agreement contains customary covenants of CBC and ChoiceOne including, among others, that each party shall (i) conduct its business in the ordinary course generally consistent with past practice during the period between the date of the Merger Agreement and the effective time of the Merger or earlier termination of the Merger Agreement, (ii) cooperate in the preparation and filing of a joint proxy statement relating to its respective special shareholders’ meeting to approve the Merger Agreement and other matters, (iii) through its board of directors, recommend that its shareholders approve the Merger Agreement and other matters (subject to certain exceptions as provided in the Merger Agreement), (iv) call and hold a special shareholders’ meeting to approve the Merger Agreement and other matters, (v) solicit shareholder approval of the Merger Agreement and other matters (subject to certain exceptions as provided in the Merger Agreement), and (vi) obtain any necessary regulatory approvals for the Merger. Each of ChoiceOne and CBC has agreed not to, subject to certain exceptions generally related to its board of directors’ exercise of its fiduciary duties (as set forth in the Merger Agreement), solicit, initiate, encourage or knowingly facilitate inquiries or proposals with respect to, engage in any discussions or negotiations concerning, or provide any confidential information relating to, any alternative business combination transactions. If the Merger Agreement is terminated under certain circumstances, including termination of the Merger Agreement to accept an alternative business combination transaction as permitted by and subject to the terms of the Merger Agreement, ChoiceOne or CBC, as applicable, is required to pay the other party a termination fee of $3,591,000. Completion of the Merger is subject to certain customary closing conditions, including, among others, receipt of the requisite approval by the ChoiceOne and CBC shareholders, receipt of required regulatory approvals, the absence of any law or order prohibiting completion of the Merger, the effectiveness of the registration statement to be filed by ChoiceOne with respect to the shares of ChoiceOne common stock to be issued in the Merger and the absence of a material adverse effect (as defined in the Merger Agreement). The Merger Agreement provides that, at the effective time of the Merger, ChoiceOne shall cause the size of the board of directors of the surviving corporation to be fourteen directors, which shall consist of seven persons designated by ChoiceOne and seven persons designated by CBC. For the period beginning at the effective time of the Merger and ending upon completion of the third annual shareholder meeting of the surviving corporation following the effective time, the board of directors of the surviving corporation will nominate for election to the board of directors at each shareholder meeting of the surviving corporation the ChoiceOne designees and the CBC designees, or such replacement designees as selected by the remaining ChoiceOne designees (in the case of a vacancy caused by departure of a ChoiceOne designee) or CBC designees (in the case of a vacancy caused by departure of a CBC designee), as applicable. The Merger Agreement provides that Paul Johnson will serve as the Chairman of the board of directors of the surviving corporation, Bruce Cady will serve as the Vice Chairman of the board of directors of the surviving corporation, Kelly Potes will serve as the Chief Executive Officer of the surviving corporation, and Michael Burke, Jr. will serve as the President of the surviving corporation. In connection with the Merger Agreement, each of ChoiceOne and CBC entered into Voting Agreements with the respective directors of the other company, in the directors’ capacities as shareholders. Each director who is party to a Voting Agreement has agreed to vote in favor of the approval of the Merger Agreement, subject to the exceptions set forth in the Voting Agreements. The forms of Voting Agreements are attached as to this report as Exhibit 99.1 and 99.2 and are incorporated herein by reference. The disclosure under this Item 1.01 is qualified in its entirety by reference to the Merger Agreement, which is filed with this report as Exhibit 2.1 and is incorporated herein by reference. On March 25, 2019, ChoiceOne and CBC issued a joint press release announcing the execution of the Merger Agreement. A copy of this press release is attached to this report as Exhibit 99.3 and is incorporated herein by reference. Attached as Exhibit 99.4 to this report is an investor presentation regarding the Merger and is incorporated herein by reference. · the outcome of any legal proceedings that may be instituted against ChoiceOne or CBC. This communication is being made in respect of the proposed merger transaction between ChoiceOne and CBC. In connection with the proposed merger, ChoiceOne will file with the SEC a Registration Statement on Form S-4 that will include the Joint Proxy Statement of ChoiceOne and CBC and a Prospectus of ChoiceOne, as well as other relevant documents regarding the proposed transaction. A definitive Joint Proxy Statement/Prospectus will also be sent to ChoiceOne and CBC shareholders. 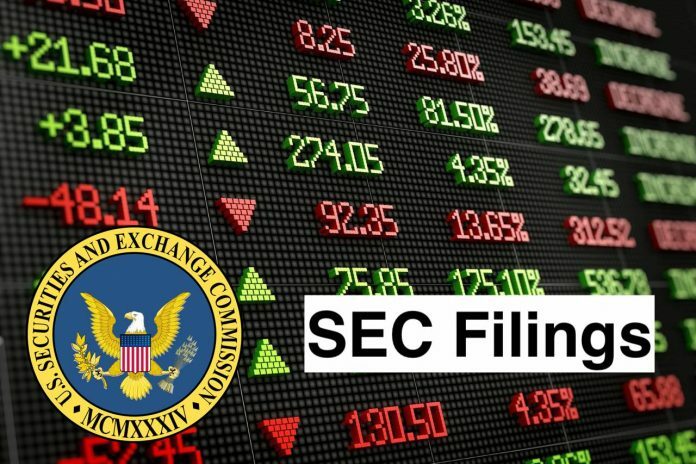 INVESTORS ARE URGED TO READ THE REGISTRATION STATEMENT AND THE JOINT PROXY STATEMENT/PROSPECTUS REGARDING THE MERGER WHEN IT BECOMES AVAILABLE AND ANY OTHER RELEVANT DOCUMENTS FILED WITH THE SEC, AS WELL AS ANY AMENDMENTS OR SUPPLEMENTS TO THOSE DOCUMENTS, BECAUSE THEY WILL CONTAIN IMPORTANT INFORMATION. A free copy of the Joint Proxy Statement/Prospectus, once available, as well as other filings containing information about ChoiceOne and CBC, may be obtained at the SEC’s Internet site http://www.sec.gov. You will also be able to obtain these documents, free of charge, from ChoiceOne by accessing ChoiceOne’s website athttp://www.choiceone.com(which website is not incorporated herein by reference)or from CBC by accessing CBC’s website athttp://www.lakestonebank.com(which website is not incorporated herein by reference). Copies of the Joint Proxy Statement/Prospectus once available can also be obtained, free of charge, by directing a request to ChoiceOne, 109 East Division Street, Post Office Box 186, Sparta, 49345, Attention: Mr. Thomas L. Lampen, or by calling 616-887-7366, or to CBC, 83 West Nepessing Street, Post Office Box 250, Lapeer, Michigan 48446, Attention Mr. Bruce J. Cady, or by calling 810-664-2977.
participants in the transaction may be obtained by reading the Joint Proxy Statement/Prospectus regarding the proposed merger when it becomes available. Free copies of this document may be obtained as described in the preceding paragraph. ChoiceOne Financial Services, Inc. is a bank holding company. The Company operates through banking segment. The Company’s subsidiary, ChoiceOne Bank (the Bank), is a full-service banking institution that offers a range of deposit, payment, credit and other financial services to all types of customers. Its services include time, savings, demand deposits, safe deposit services and automated transaction machine services. It offers both commercial and consumer loans to corporations, partnerships and individuals. Commercial lending covers categories, such as business, industry, agricultural, construction, inventory and real estate. The Bank’s consumer loan department makes direct and indirect loans to consumers and purchasers of residential and real property. The Bank’s primary market area lies within Kent, Muskegon, Newaygo and Ottawa counties in Michigan. The Bank’s subsidiary, Insurance Agency, sells insurance policies, such as life and health for both commercial and consumer clients.